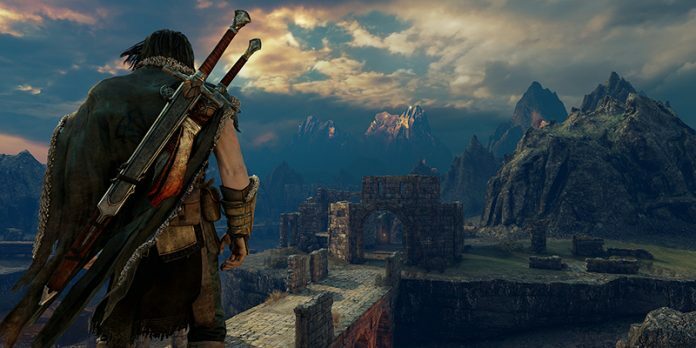 Middle-Earth: Shadow of Mordor was an arcade-style beat-‘em-up in the guise of an open-world adventure game. The 2014 game, which will be getting a sequel soon, boasted the unique “Nemesis System”, which allowed the game’s orcs to have power struggles, comment on the player’s previous actions, and allow for personalized game experiences. With the Nemesis System, orcs levelled up with the player. They began at the bottom of the food chain, and as the player advanced time (usually through death), the orcs would beat each other up to gain status and new abilities. If the player were to be killed by an orc and fight them again later, the orc might say, “Didn’t I already kill you?” Or if the player “killed” an orc in a particular battle, the supposedly-dead orc might reappear with a scar or burn mark, ready to take revenge. Nobody stayed dead in that game, apparently. I mean, the protagonist dies at the beginning. But it’s okay because he’s got a ghost possessing him? But the ghost is an elf? I don’t really remember the details. Anyway. It was a well-praised system that ultimately acted as window dressing for killing scores of orcs, which, in most games of this type, would all look exactly the same. Shadow of Mordor’s Nemesis System gave personality and history to the orcs and their respective clans, driving the player to more meaningful encounters. Here’s the thing. Shadow of Mordor wasn’t a very deep game. It had a beautiful, if mostly bland, open world, and some requisite collectibles scattered around. It had some fun with the Lord of the Rings universe, but never reached the heights of the books. It didn’t have a smorgasbord of minigames or filler quests, like an Assassin’s Creed. And it didn’t have a huge cast of fun characters, like the Arkham Games. If it were a book genre, it would be sword and sorcery, rather than high fantasy. And as a game, I’d sooner call it an arcadey action game rather than an epic adventure game. And that’s great. Shadow of Mordor came out at the very end of September, 2014. The previous big game was Destiny, which came out at the very beginning of the month. And the next major release wouldn’t be until November, when all the typical AAA releases came out. In short, it was a fairly dry time of the year (assuming you wanted a break from Destiny). Shadow of Mordor was a snack between big meals. And I think there’s a market for that. A “good enough” game, released in a slow season, to tide players over until the full-course AAAs can come out to play. Shadow of Mordor was a tight game, with fun action, that didn’t try to be more than it needed to. Not every game needs world-ending stakes and gigantic set pieces and NPCs with filler quests to pad out the game length. I preferred the lean focus of Shadow of Mordor over the bloated Arkham Knight and the stretched-too-thin Assassin’s Creed: Unity. And I could still enjoy the open adventure format that games like Bayonetta didn’t deliver. Previous articleHorrifyingly Fun Game You Should Try, If You Can!